The Ekoms 20ml E Liquid brings complete originality that a vaper can dream for. Do you wish to have delicious flavours of a Pistachio Cream? The subtle Greench hides inside a 20ml bottle, a taste which is nastily good, will subtly disrupt your taste buds. Made in France by Ekoms, the Ekoms 20ml e liquid is available in 35/65 PG/VG so you can benefit with a good dose of vapor. With 0mg in nicotine, the Ekoms 20ml has all the assets of an e liquid of great quality. Fruity Candy such as Apple-Raspberry, and tempting Blueberries, A ferociously delicious taste. 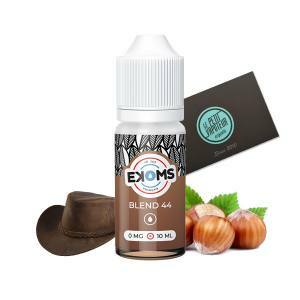 An Ekoms E Liquid which offers you savoury classic blond with a light touch of grilled hazelnut. An Ekoms E Liquid which offers a perfect Classic Blond Flavour. A beautiful sweet Strawberry which marries perfectly with gourmet English Cream and crunchy cereal. Peanuts covered with gourmet caramel dived into a bath of English Cream. Your Ekoms 20ml E Liquid will subtly dissrupt your tastebuds. Wickedly good, each Ekoms 20ml E Liquid is available in 35/65 in PG/VG, letting you benefit with a good dose of vapor. Get all the orginiality that you have dreamed of. The Greench E Liquid hides inside the 20ml bottle a mean good taste. Vape a delicious Pistachio Cream! Your Ekoms 20ml E Liquid has all the assets of great quality e liquid.